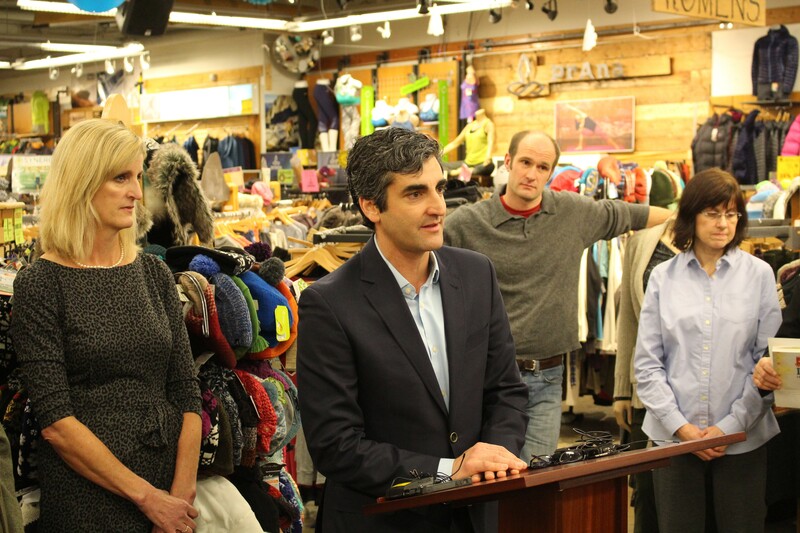 Burlington Mayor Miro Weinberger has raised $93,057 — and spent $63,817 of it — since he won his first term three years ago, according to a new filing with the secretary of state's office. Those numbers far exceed the $3,175 raised and $2,334 spent by Progressive rival Steve Goodkind in his campaign to unseat the incumbent Democrat. Neither of the other two candidates in the race, Libertarian Loyal Ploof or independent Greg Guma, filed fundraising reports by Monday's deadline. Unlike Goodkind, who accepted his first contribution — a $35 loan from himself — in December 2014, Weinberger has been raising and spending campaign cash for years. The incumbent's latest report covers his fundraising activity between August 2013 and the end of January 2015, during which time he took in $74,307. In a July 2013 filing, Weinberger's campaign reported raising $6,750 from others and $12,000 in loans from the mayor himself. Since he began campaigning in earnest this year, the mayor has collected $27,350. The vast majority of the money Weinberger has raised comes from big-dollar donors. Of the 229 people who have contributed to his campaign thus far, 92 have given less than $100, while the remaining 137 have given more than that. Forty-three have contributed $1,000 or more. Weinberger has garnered tremendous support from those who, like the mayor, have made a living in the real estate business. His top donors include such developers as Ernie Pomerleau ($2,000), David Farrington ($1,000), James Canning ($1,000), Nedde Real Estate ($1,000), David Scheuer ($1,000), DesLauriers & Company ($1,000), Gene Richards ($1,000), Larry Williams ($1,000) and Erik Hoekstra ($1,000). The incumbent appears to have raised nearly $10,000 last month at a Washington, D.C., fundraiser featuring Sen. Patrick Leahy (D-Vt.) and Congressman Peter Welch (D-Vt.). The bash was held at the home of former Leahy chief of staff Luke Albee and was co-hosted by America's Promise president and CEO John Gomperts. On the night of the fundraiser and in the days immediately thereafter, Weinberger accepted $9,800 from 25 people who live or work in the nation's capital. Goodkind, the city's former public works director, has found far less success in his fundraising efforts. Most of the $3,175 he has collected has come from $2,035 he loaned himself. The Progressive has raised money from just 15 others, 12 of whom donated less than $100. Only Bruce Seifer ($250), a former assistant director of the city's Community and Economic Development Office, and Peace and Justice Center office manager Wendy Coe ($150) have given more. Guma says that while supporters have pledged to contribute $3,000 to his campaign, he has not spent a dime since he formally entered the race last week.